Great singletrack doesn’t often occur right by the sea, but the Fife Coastal Path has it by the mile. We this wild trail armed with nothing but a credit card and a sense of adventure. Nearly 20 miles of classic Peaks riding, complete with rocky, jumbly descents on ribbons of swoopy singletrack. What could be better? How about finding the bottle we’ve hidden for our Killer Loop competition? 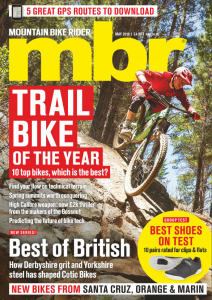 This month the finder wins a RockShox Pike fork! The Cannondale Trigger Carbon 1 looks fast and agile; Forme’s Lathkill LTD feels dependable and fun and the Zerode Taniwha excels on descents. Commençal Meta TR V4.2 Origin, Mojo/Nicolai G13, Nukeproof Mega 290 Pro, Ragley Mmmbop, Specialized Enduro Comp 650B and Trek Fuel EX Plus all on longterm test. New stuff ridden and rated: Giro Switchblade full-face, kneepads from Shimano, new budget Pro Koryak dropper, and loads more. The uniform of the mountain bike. We test the best on the market. Short-travel 29ers suit UK conditions down to the ground; they’re fast rolling, light and bags of fun. We’ve got four bikes on test, from Trek, Kona, Norco and Specialized. The best way to get away from the hordes is on your bike, so pack for the mountains and tackle something big and remote. Chocks away! Our skills session this month focuses on the fine art of becoming airborne, and how to maintain a safe cruising altitude. Love them or hate them, e-bikes are on the charge: here’s how to get the most from your motor and the best out of your battery. How to keep riding when it’s hot, dry and dusty. Escape the urban rat race with our ultimate summer roadtrip: where to ride, what to eat and which single malt to sip. The golden rules of perfect cockpit set-up. Servicing your suspension? Fitting offset bushings? Here’s how to extract your shock without doing any damage. Ensure a perfectly cut and fitted fork with our step-by-step guide. 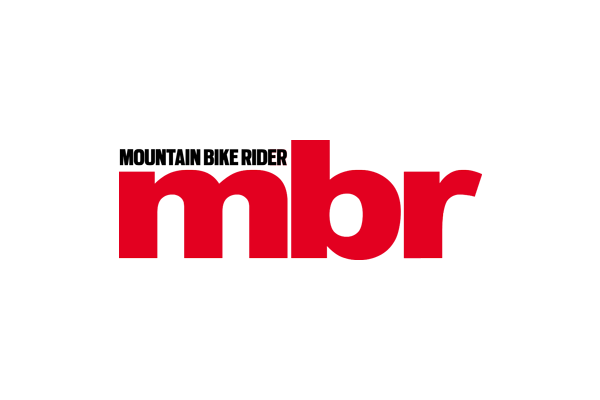 Check out our latest subscription offer, or try MBR’s digital editions on iPad, Android, Kindle and more.